Spring is slowly making its way around the corner of winter and with the warmer temps, skin might be looking a little lackluster. Buildup from winter, flaky skin from dryness or irritation from all those dry, indoor heating systems can all leave skin less than glowing. But never fear—all you need is an at-home mask, customized for your skin type and easier to make that your morning coffee (or tea). 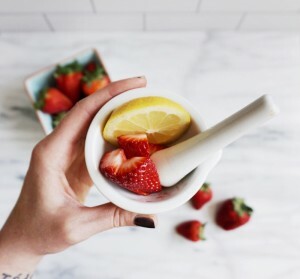 For this DIY skincare mask, we’re focusing on strawberries, nature’s brightener. These berries are full of antioxidants to fight aging, gentle acids to reduce oil and blemishes, and lightening components to help fade scars and dark spots. So grab a bowl, and get ready to reveal your beautiful spring skin! Mash the strawberries with a fork in a bowl until smooth; mix in honey. Using clean hands or a sanitized brush, gently apply the mixture all over your face, avoiding the eye area. Leave the mask on for 10 to 15 minutes to let the strawberries exfoliate and the honey moisturize,balance oil production and fight bacteria before rinsing it off with warm water. Mash the strawberries with a fork in a bowl until smooth; mix in honey, oil and lemon juice. Using clean hands or a sanitized brush, gently apply the mixture all over your face, avoiding the eye area. 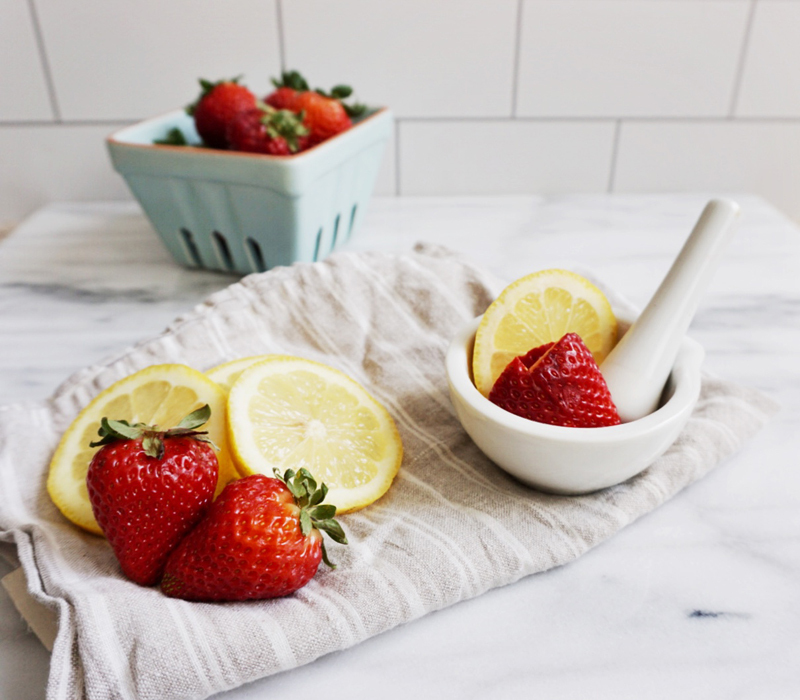 Leave on for five minutes, as the lemon juice brightens and heals, the strawberries exfoliate and the honey moisturizes and heals. Mash the strawberries with a fork in a bowl until smooth; mix in honey and yogurt/cream. Using clean hands or a sanitized brush, gently apply the mixture all over your face, avoiding the eye area. Leave on for 10 to 15 minutes while the yogurt and honey hydrate, exfoliate and lift flakiness, and the strawberries brighten. Nothing like putting something delicious on your skin. Thanks for the recipe.